A report submitted to the NATO Parliamentary Assembly on Saturday will outline how climate change could make the Middle East even more conflict-prone than it already is. With only 1% of the world’s renewable water sources and 5% of its population, the Middle East is particularly vulnerable to droughts. These are expected to be more frequent and severe as climate change takes hold, increasing competition for scarce resources. This, in turn, increases the risk of regional and civil conflicts. Ironically, the tools being developed to fight climate change—particularly cheap and reliable renewable energy—could do more damage to the region than climate change itself, at least in the medium-term. A reduction in demand for oil and gas will depress prices which, at $50 a barrel, have already halved in the past two years. The governments of Saudi Arabia, Iraq and Libya each derive more than 90% of their public funds from hydrocarbons and require prices above $80 a barrel to keep their budgets in the black. The consequences of a sustained low in global oil markets would devastate these economies and exacerbate already existing social tensions. While work is under way to ween the Saudi economy off oil, this task is gargantuan and will take decades to pull off—time the Kingdom’s rulers may not have. As the Philippine military fights ISIS-linked militants in the country’s south, government negotiators will descend on a Dutch town for talks with another separatist-minded group—the communist National Democratic Front. At least 30,000 have been killed in fighting between the communist rebels and government forces since 1968, making it one of the longest-running unresolved conflicts in the world. Tuesday’s declaration of martial law in the southern province of Mindanao, where the communist rebels maintain a presence, has seen tensions flare between the government and leftists. 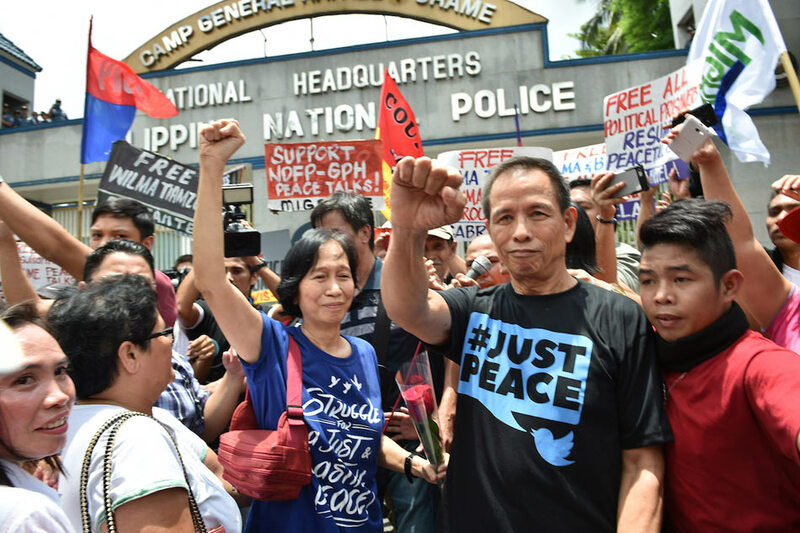 A message on the Communist Party’s website stated the “necessity of waging a revolutionary armed struggle [has] become ever clearer” following Duterte’s martial law announcement. A separate article added that the move would “further isolate” the president from the people. The head of the government negotiating panel labelled the statement a “false reading” of President Duterte’s intentions and reiterated his desire for a peace deal. Elected to bring law and order to the restive country, Duterte is coming under concerted pressure to deliver on his promise. With instability increasing, the president risks tarnishing his image as a tough-on-crime strongman. Last weekend, the presidents of Uganda and Tanzania announced they would build an oil pipeline to transport Ugandan crude to the Indian Ocean. The pipeline will come one step closer to reality on Saturday when the country’s energy ministers sign a treaty formalising the project. 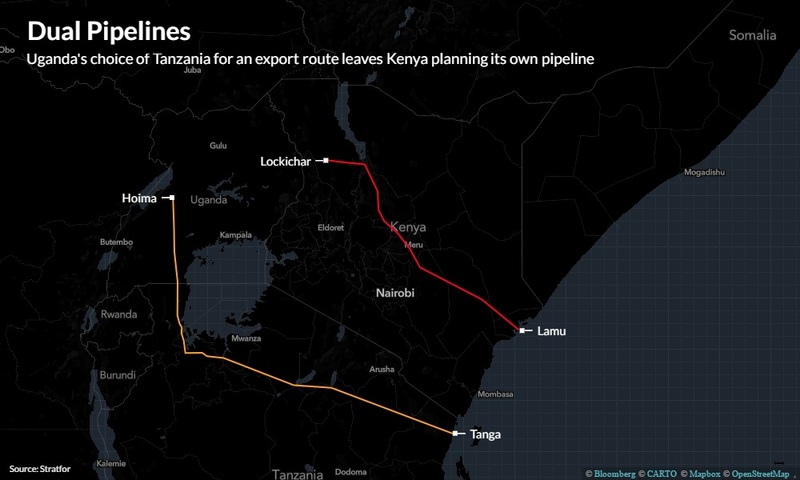 While the pipeline was originally slated to pass through Kenya, high costs and security concerns—particularly over the threat posed by al-Shabaab and its affiliates—prompted a rethink. In the end, Ugandan leaders decided on the Tanzania-option; the pipeline will run 1400 kilometres southeast from the Hoima oil fields to the port of Tanga. After emerging from decades of political instability—initially under dictator Idi Amin and later driven by disputes with neighbours—Uganda has enjoyed a substantial uptick in economic activity since the 1990s. The Hoima-Tanga pipeline is a crucial part of the country’s future economic development and, once completed in 2021, it’s expected to transport some 200,000 barrels of crude per day to global markets. 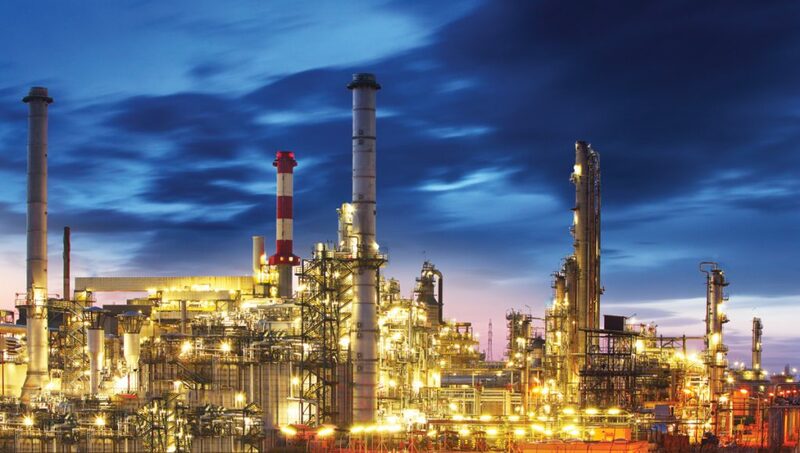 Construction on refineries and other support infrastructure are also expected to begin in the coming months, with the combined projects expected to provide an estimated 150,000 jobs in the coming years. After much debate, particularly on trade and climate policy, the G7 leaders’ summit will wrap up. A hotly contested communique will be released, but with little common ground between the Trump administration and the six other world powers, it’s expected to be substantially shorter than last year’s 32-page document. 260,000 members of Canada’s Conservative Party will choose their new leader. Front-runner Kevin O’Leary, a businessman and host of reality TV show Shark Tank, unexpectedly pulled out of the race on Wednesday, endorsing small-government advocate and former Foreign Minister Maxime Bernier. Bernier is likely to win the nomination. Pakistani lawyers have set Saturday as the deadline for PM Nawaz Sharif to resign over allegations he and his family misappropriated state funds. If Sharif doesn’t stand down (which he won’t), two of the country’s largest bar associations say they will begin a “nationwide movement to ensure his resignation”.